Ashlee Morris is the 2006 Division 7 Champion in the 8-9 year old group. 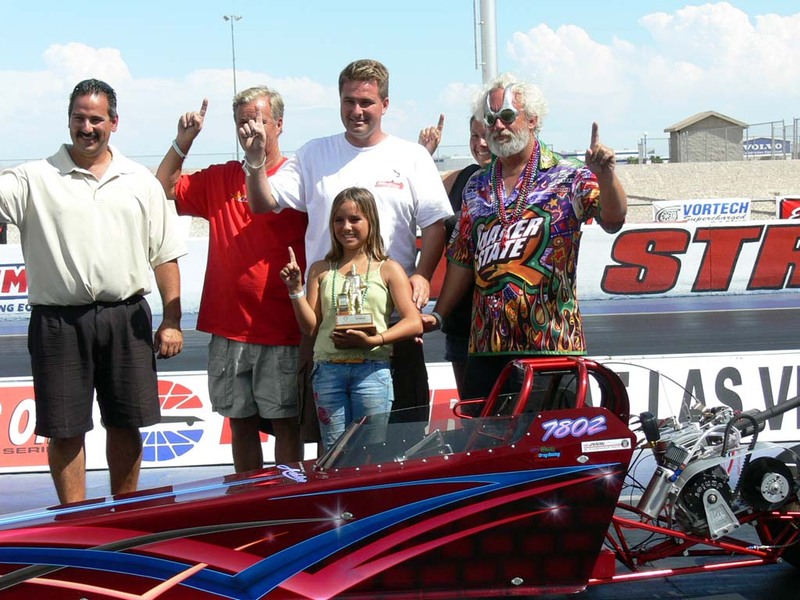 She was the Division 7 Event Winner in Redding, Firebird, Fontana, and Las Vegas. Also shown are Division 7 Director, Mike Rice, Ashlee's Grandfather Roger, dad Eric, aunt Abby, and Ashlee's crew chief, Scott Bentley.